Theory and practice: it’s that simple. Without both, music becomes devoid of passion, technique, refinement, and fun. 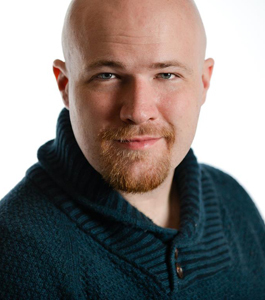 Von is a professional countertenor, and sings professionally in a number of area ensembles. These have included Genesis Chamber Singers, Copley Singers, and the Video Game Orchestra and Força Chorus. He’s acted in musicals and opera in the Boston area, and spent two summers as a music director for summer theater in Phillipsburg and Virginia City, MT. He studied piano for nearly two decades, and also enjoys playing organ. He can also be heard most Sunday mornings during the scholastic year at St. Paul’s RC Church in Harvard Square with the choir of men and boys. Von teaches all ability levels and enjoys the differences that every student brings, and his goal is to build the whole musician through active work on technical skills like music theory and sight reading as well as artistic skills like interpretation, phrasing, and stylistic choices suited to the time period and intent of the composer.